In October James Tooley was interviewed by Neal McCluskey at the Cato Institute. I have listed to the 85 minute audio podcast of the interview twice (yes, it's that good). 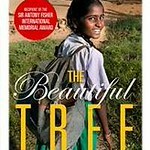 The Cato event was organized to celebrate the paperback release of Tooleys famous 2009 book The Beautiful Tree. Tooley recounts his personal journey – beginning with his role as a professor of education policy at the University of Newcastle. Back then Tooley was a consultant to the traditional education establishment. On one such assignment for the World Bank he was in Hyderabad India doing due diligence for the Indian School of Business. Dissatisfied with working on upper middle class education, on a day off he went exploring into the slums. There he encountered one of the thousands of low cost private schools – that charged about US $1/month. He soon connected to some 500 schools that belonged to a federation of such schools. He asked parents “Why do you send your children to this private school – when the public schools are free?” They answered “Because in the public schools the children are abandoned”. Tooley was really excited by what he had found. When he returned to the World Bank in D.C. he started promoting research into this alternative approach to education for the poor. Like the other traditional aid agencies, the Bank was not at all interested. Tooley was told “You have just stumbled upon some businessmen ripping off the poor.” That is still the response you will hear from many of the old agencies. But Tooley's research is starting to make a difference. Unable to get World Bank funding, he found research funding support at the John Templeton Foundation. That research beginning 2006 led to the book in 2009. In addition to his ongoing research, Tooley is cofounder of Omega Schools, a chain of low-cost private schools in Ghana, and Empathy Learning Systems, an educational service company that runs a chain of inexpensive private schools in India. This is a fascinating story – enjoy the podcast and read the book. And don't jump to conclusions about what would work. E.g., I was thinking “what about government voucher funding via Milton Friedman's favorite vehicle, vouchers?” Some variation of the voucher idea might work, but Tooley is cautious – given his experience of how these developing country politicians and bureaucracies work. In conjunction with the release of the book’s paperback edition, James Tooley will discuss the extraordinary changes in educating the poor that have occurred since The Beautiful Tree was published, as well as his experiences as a cofounder of both Omega Schools, a chain of low-cost private schools in Ghana, and Empathy Learning Systems, an educational service company that runs a chain of inexpensive private schools in Hyderabad, India. We hope that you will join us to hear James Tooley discuss what’s going right in some of the world’s poorest nations and communities. The entrepreneurial spirit, Tooley makes clear, and the love of parents for their children, can be found in every corner of the globe. More on Empathy Learning Systems here. This entry was posted in Development, Education by Steve Darden. Bookmark the permalink. In earlier times, many people here in the U.S. were mostly self-educated. For example, Andrew Carnegie, who came here from Scotland in about 1847 after having been educated only through grade five, became well-educated even though he had no additional formal education. He did it by doing a lot of reading and associating with well-educated people. To help provide others with the same opportunity, he donated funds to build libraries all over the U.S. and a few in other countries. Frederick Douglas, who was born a slave in 1818, succeeded in learning to read and write without attending school. Before she was stopped from doing so, his master’s wife taught him a few letters of the alphabet. After that, he befriended white school children and got them to teach him to read and write. After escaping to the North, he became a skilled abolitionist orator and writer without ever having had any formal education. There is something seriously wrong with our educational system and I don’t know exactly what it is. At one time, few Americans were educated beyond grade eight yet, as evidenced by what they wrote, they could write very well. Today many high school graduates, and even some college and university graduates, have very poor writing skills. Often they lack even basic knowledge of the world, history, and science. The evidence indicates that with sufficient motivation, people are able to become self-educated to the extent that they are better educated than some people with degrees. It wouldn’t surprise me to learn that poor people in some countries are doing just that. If they can be helped and encouraged to get a good start by θ schools, then more of them will become well-educated which should greatly benefit them and their countries. There is a limit to what θ schools can do with their limited resources. If they can provide pupils with basic reading and writing skills then provide adequate books, then many of the pupils can continue on their own. There is something seriously wrong with our educational system and I don’t know exactly what it is. A tough problem. There are easily observable serious defects in the incentive structure of K-12. There are many incentives to improve the comfort, retirement and medical care of the administrative bureaucracy and teachers. There are almost no incentives to focus on what is best for the students. Similarly at the tertiary level the incentives are towards more prestige and bigger budgets. Almost no incentives towards delivering better education value than the competition. The really good news is the innovators like Udacity and Coursera are beginning to show how better mastery can actually be obtained at drastically lower cost. Frederick Douglas, who was born a slave in 1818, succeeded in learning to read and write without attending school. While not comparable, Bill Gates sets a similarly fine example of learning outside the prescribed institutions. You might enjoy browsing through the archives of The Gates Notes blog where Bill notes what he is reading. And sometimes comments and reviews the books he has recently read. He must do at least a book every couple of days. Impressive when he is reading e.g., Vaclav Smil, not romance fiction. When I lived in Fiji, a letter in the “Fiji Times” stated that its writer found TV very educational; every time someone turned on the TV, he read a book. Before TV, people probably did more reading. I love that quote – thank you!